A “Publishing Makerspace” is a physical and virtual place where scholars can come together with other professionals who operate in different parts of the publication process to collaboratively work through problems encountered in multi-modal publishing. As Don Waters noted in his remarks on Tuesday evening, digital scholarly communication is still in a formative stage. The ways in which audiences encounter published works, the processes of production, and the modes of collaboration among the people who contribute to published works are still very much in flux. More and more, scholars are producing multimodal and multimedia projects that include archives, online and digital projects, as well as traditional journal and book publications. But they are operating without the infrastructure and specialized knowledge that will help them to fully realize their goals. There’s a host of scholarly communication experts—librarians, publishers, designers, programmers, and technologists, all of whom have expertise and experience that could be of use to scholars, but which doesn’t reside in one place. We realized that there needed to be a space, both physical and virtual, where all of these groups could come together to share knowledge and to forge new ways of producing and sharing with the public the fruits of their intellectual work. The Publishing Makerspace offers an opportunity for this kind of collaborative work, where scholars can benefit from the guidance of a range of experts and where publishers, librarians, and others could work with scholars to imagine new forms, tools, and methods for creating scholarly work. Such workshops would be buttressed in virtual space by guidelines and best practices that are developed and shared by Publishing Makerspace groups over time. Following the succesful THATCamp model, other Publishing Makerspaces can create their own websites which fork easily from the central Publishing Makerspace workshop. 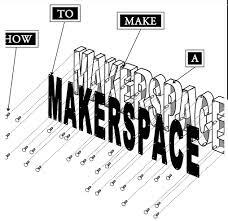 We hope that Publishing Makerspace will be a mode of working that encourages collaborative authoring and attribution and spreads across the US and around the world. It’s a big vision. Ultimately we’re imagining a new scholarly ecosystem. So we had to think about small ways that we might push us towards this new future, where we could open up new possibilities. We started with the kinds of traditional manuscript workshops that happen across universities that help scholars refine their book publications. Those workshops are aimed toward a single end, a finished book by (usually) a single author. The Publishing Maker workshop would be a different space, a more collaborative endeavor where scholars and others could gather to design a project. Because of that, we would start the workshop without predetermined results or output. Scholars would have initial ideas of what they would like to produce. But it is through conversation with others that they would shape the project, to decide what tools, platforms, and outputs would best suit their project and would allow them to reach their likely multiple audiences. The group assembled, which might include a book editor, a librarian, a designer, a programmer, and scholars in related fields, would work collaboratively to imagine new solutions. This collaborative model would mean that the work was not uni-directional. While the group would be helping the scholar to realize his/her goals, it would also feed back into the work of these various groups, possibly reshaping the workflows and forms of communication that they create. What are the outcomes of a Publishing Makerspace workshop? Out of the workshop, we would expect the scholar to develop a detailed proposal for their project that would outline technical requirements, intended audiences, desired outputs. From that proposal the scholar would be prepared to move forward. It may help them to seek funding, to approach a library or publisher, to form a collaborative team, to gain support from scholarly societies, etc. Our first “next step” is to return to UNC Press, DUP, SILS, FHI, CHCI and Wake Forest Humanities Institute and Library to talk to our colleagues about opportunities to create pilots for fine-tuning the concept. that Publishing Makerspace workshops should be replicable: articulated, forked, revised and customized for each workshop. Our next major intellectual step is to each contribute information briefs about possible roles for workshop participation. In addition to pilot workshops we plan to propose a working report presentation for the Charleston Conference next year to get feedback for continued development. We are considering pitching a post-meeting workshop for the 2016 HASTAC meeting as a roll-out of a first-version prototype. ← Plenary Session: What is Publishing Makerspace, What Was Our Process, and What Are Our Questions?